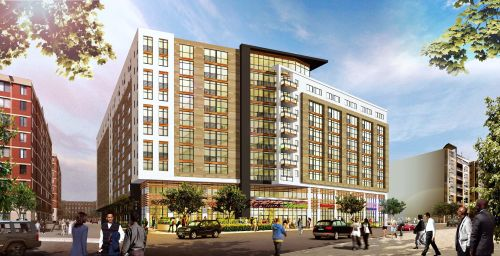 Nearly two years after it first won development rights from the city, MRP Residential announced this week the first tenant in its long-debated mixed use development on Florida Avenue: Whole Foods. The natural and organic grocer signed a lease for an approximately 40,000-square-foot store at 965 Florida Avenue, NW, MRP said in a statement. No target opening date has been set. Hb Swiss is a brand new system into the market mainly to help traders have some profits from their investments. This is a trading platform that has a very user-friendly interface and almost all the procedures and processes are clearly explained and elaborated to the traders. The brokers and their explanations on how this system works and the use of different strategies are an added advantage on this trading platform. Getting a grocer to commit to the space has long been a conflict between residents, developers and the city: The Vince Gray administration angered residents when it selected MRP’s plan over a bid from JBG, who owned an adjoining lot and planned to combine the two sites to make room for a full-service grocery store, as well as extend W Street to connect the street grid. Harris Teeter was rumored to be part of those plans, but went off the table when the city chose MRP. In 2014, MRP Residential and JBG announced they would join forces for a 370,000 square foot mixed use development, including 50,000 square feet of ground-floor retail that will now include Whole Foods. Residents and city officials have become increasingly vocal in their desire to get more daytime, commercial business for a corridor largely filled with new apartments, restaurants and bars. This project will help meet that need, as will the creation of an arts and community center through the development of the nearby Grimke School at 912 U St NW. Whole Foods Market currently has 417 stores in the U.S., Canada and the U.K. There are four in the District; another Whole Foods is underway on H Street. The building will also feature 400 residential units, 30 percent of which will be affordable housing. MRP and Ellis plans to finalize its Planned Unit Development (PUD) agreement for the building this summer. Featured Image: A rendering of the future building from MRP Realty.